WASHINGTON — The Trump administration is urging American-backed Afghan troops to retreat from sparsely populated areas of the country, officials said, all but ensuring the Taliban will remain in control of vast stretches of the country. The approach is outlined in a previously undisclosed part of the war strategy that President Trump announced last year, according to three officials who described the documents to The New York Times on the condition of anonymity. It is meant to protect military forces from attacks at isolated and vulnerable outposts, and focuses on protecting cities such as Kabul, the capital, and other population centers. The withdrawal resembles strategies embraced by both the Bush and Obama administrations that have started and stuttered over the nearly 17-year war. It will effectively ensure that the Taliban and other insurgent groups will hold on to territory that they have already seized, leaving the government in Kabul to safeguard the capital and cities such as Kandahar, Kunduz, Mazar-i-Sharif and Jalalabad. Sri Lanka’s decision earlier this month to move a naval unit to Hambantota port, now leased to the China Merchant Ports Holdings Ltd for period of 99 years, isn’t good news for New Delhi. With reports in the media that China is considering ‘gifting’ a frigate to the Sri Lankan Navy, it seems clear that a process for the creation of a Chinese naval outpost in India’s near-neighbourhood has just begun. Beijing’s move creates the grounds for the insertion of PLAN training and support teams at Sri Lanka’s naval command, which is bound to result in the positioning of greater Chinese naval assets at the facility. Foreign spies from China, Russia, and Iran are conducting aggressive cyber operations to steal valuable U.S. technology and economic secrets, according to a U.S. counterintelligence report. The report by the National Counterintelligence and Security Center, a DNI counterspy unit, concludes China is among the most aggressive states engaged in stealing U.S. proprietary information as part of a government-directed program. Artificial intelligence and the internet of things are giving adversaries new tools for cyber spying, the report said. Thanks to US President Donald Trump and his “America first” policy, the global economic and trade outlook perhaps has never been so uncertain. Nowhere are these economic and policy shock waves being felt more than in China. And, Beijing is responding the same way it does every time it anticipates trouble – by pumping cash into its system. It has already used targeted reserve requirement cuts for select banks. This week the People’s Bank of China (PBOC) pushed US$74 billion into the system to get funds to the small-business sector. The State Council also announced US$200 billion of infrastructure spending to boost what were weak infrastructure numbers, while the currency fell to 6.8 to the dollar to take the edge off tariffs. It’s a playbook we have seen before. Trans-Pacific View author Mercy Kuo regularly engages subject-matter experts, policy practitioners and strategic thinkers across the globe for their diverse insights into the U.S. Asia policy. This conversation with Mark Li, Senior Research Analyst at Sanford C. Bernstein, is the 148th in “The Trans-Pacific View Insight Series.” Explain the impact of U.S. sanctions on ZTE on China’s semiconductor demand. 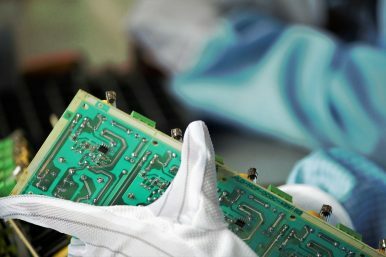 The direct impact of the sanction is not on China’s semiconductor demand. Instead, it impairs severely ZTE’s ability to make telecom equipment as the equipment needs chips from the U.S. But the sanction highlights China’s vulnerability because of the lack of good domestic semiconductor supply chain. 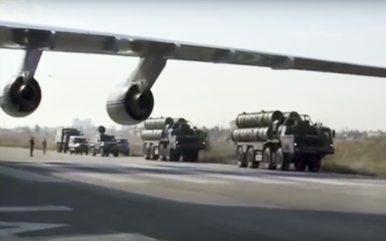 The People’s Liberation Army (PLA) is set to conducts its first live fire drill of its newly acquired first regimental set of Russian-made S-400 Triumf advanced interceptor-based air defense systems (NATO reporting name: SA-21 Growler) in the coming days, according to an anonymous Russian source familiar with the matter. “It is planned that in late July-early August the unit of the Chinese People’s Liberation Army, which underwent training in Russia, will carry out the firing against a simulated ballistic target at a Chinese firing ground,” the source told TASS news agency on July. The past year has seen an upturn in the fortunes of Syria’s government. 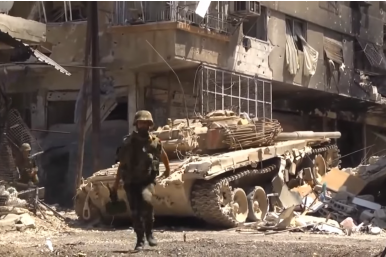 President Bashar al-Assad and his armed forces have reduced the Islamic State threat in the east of the country and made advances in the south of the country. This month he took back control of Deraa, where the uprising first began, back in 2011. Despite the government’s evident satisfaction over reclaiming much of its national territory, it all comes with a huge challenge. Following seven years of war, much of the country is now in ruins, with homes, schools, hospitals, and factories destroyed. Silicon is the king of the computing world. Almost all commercial integrated circuits have been based on silicon and, for the most part, on a single basic process called complementary metal oxide (CMOS). But the end of silicon may be in sight. Even industry giant IBM acknowledges that silicon’s days are numbered. But why? And what’s going to replace it? 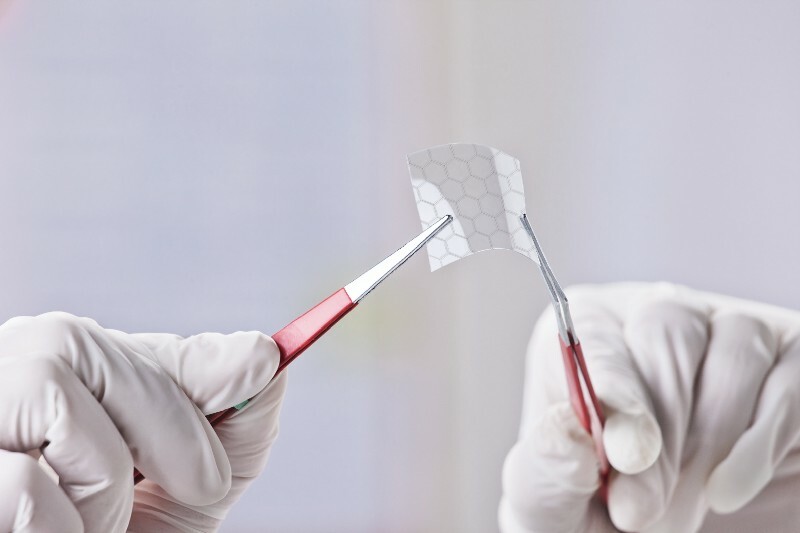 There is a whole raft of new materials and partial replacements for silicon in the offing. But I could have written that very sentence two decades ago—maybe even as far back as 1980. Yet silicon remains dominant. Chinese students blanket the world, making up the largest group of foreign students in every popular study-abroad destination, including the US and UK. But a major shift is underway: At the beginning of the century, only one in 10 Chinese students returned to China after studying abroad. In 2017, it was eight in 10. While there has been no slowdown in Chinese students studying abroad, since 2010 a majority have gone back home after graduation. Why the shift? Historically, studying abroad was a path to upward mobility for Chinese students: By staying abroad after graduation, they could earn far more than their peers at home. But that has changed over time. The strength in China’s job market, as well as its favorable domestic policies toward returnees, has incentivized a growing number of returns. Tighter immigration policies in western countries are likely to only exacerbate the trend. Speaking at the Aspen Security Forum during a session on the rise of China, Collins, the deputy assistant director of the CIA's East Asia Mission Center, said Chinese President Xi Jinping and his regime are waging a "cold war" against the US. "By their own terms and what Xi enunciates I would argue by definition what they're waging against us is fundamentally a cold war, a cold war not like we saw during the Cold War, but a cold war by definition. A country that exploits all avenues of power licit and illicit, public and private, economic and military, to undermine the standing of your rival relative to your own standing without resorting to conflict. The Chinese do not want conflict," Collins said. Indicators of Iran’s political stability continue to flash negative. Its currency is falling in value –AP reported that on the black-market exchange, the Iranian rial dropped to 112,000 to the dollar on Sunday from 98,000 the day before, while the steady decline of the official rate continues. A reformist newspaper headline led with a story about a potential “economy coup,” while the newspaper for a minority party in the Iranian parliament said Iran is moving toward a crisis that can be solved only by shaking up senior levels of government. A leading hard-line paper, while blaming economic issues on Iran’s enemies, also called for “revolutionary decisions” to resolve the country’s woes. Al-Monitor reported that the latest factional dispute in the Iranian government has pitted Iran’s chief of staff against a vice president. The country’s top security body released two prominent opposition leaders from prison. The Majlis Research Center, the research arm of the Iranian parliament, published a report on the controversial issue of mandatory hijab wearing and discovered that 55 percent of Iranian women are against such a policy. And this is in just the past 48 hours – and as small protests over water scarcity and other economic issues continue. The US is considering military options should Iran decide to close the strait of Hormuz, a vital shipping route for oil produced in the Middle East, reported Maariv on Saturday. Located between the Persian Gulf and the Gulf of Oman, it is the only sea passage from the Persian Gulf to the open sea, with roughly one fifth of the petroleum on the planet passing through it. US Secretary of Defense James N. Mattis said at a July 27 press conference at the Pentagon that " Iran has threatened to close the Strait of Hormuz," adding that in the past this lead dozens of nations to "put their naval forces in for exercises," which lead the Iranians to not follow through on their plan. The series “Guidance Systems” discusses technologies that seem to improve our lives by offering us new choices, while in fact shaping or removing our ability to decide things for ourselves. Back in August a Twitter user, “Conspirador Norteño,” began documenting an interesting pattern among certain folks posting alt-right messages. Here’s one user that fit the pattern. Conspirador Norteño picked one user, DavidJo52951945, from this group — one of more than 60,000 in a network of similar users. DavidJo52951945 went on a daily tear, writing over the years about Brexit, about Ukraine, about Hillary Clinton—whatever was going on in the world that was politically divisive in the West, and in which the Kremlin has a stake. He was remarkably on top of it. The Soviet Union and now Russia under Vladimir Putin have waged a political power struggle against the West for nearly a century. Spreading false and distorted information–called dezinformatsiya after the Russian word for “disinformation”–is an age-old strategy for coordinated and sustained influence campaigns that have interrupted the possibility of level-headed political discourse. 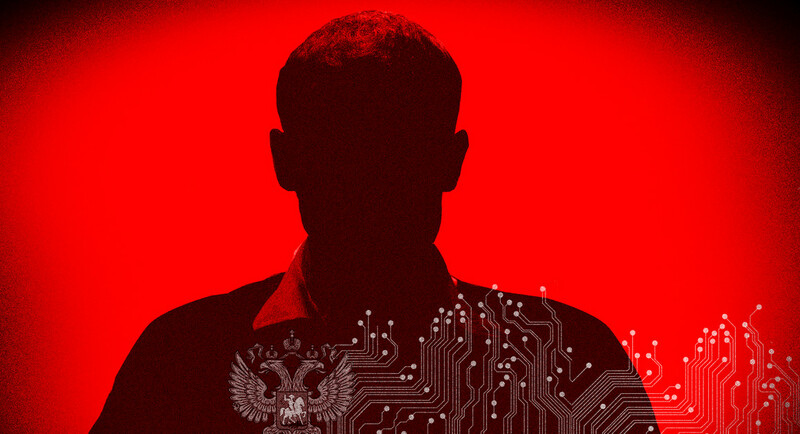 Emerging reports that Russian hackers targeted a Democratic senator’s 2018 reelection campaign suggest that what happened in the lead-up to the 2016 presidential election may be set to recur. The Srikrishna committee’s work on framing India’s data protection laws is not without merit. But it is far from a finished product. The Justice Srikrishna Committee had an unenviable task before it. It had to lay the foundations of a data protection regime of considerable scope that would have far-reaching economic, sociopolitical and governance implications. And it had to do so while juggling the interests of individual citizens, the state and businesses. Given this, it was never going to satisfy everyone. The committee report and draft Personal Data Protection Bill, 2018, released on Friday bear this out. They get some things right, but contain a considerable number of loopholes as well. They should be taken as the starting point of a vigorous public and political debate. In spite of its dominance in mobile operating systems, productivity tools like Gmail, and forays into media with subscription services such as Google Play Music and YouTube TV, the company still makes nearly 90% of its money from advertisements and its advertising platform. Advertising is also the primary driver of revenue for its holding company, Alphabet, which has a large portfolio of other businesses including AI research lab DeepMind, autonomous driving company Waymo, life sciences company Verily, and investment groups GV and CapitalG. But those benefits are still theoretical at present, with quantum computers lacking a sufficient number of processing units, known as qubits, and enough stability to do useful work. Companies are going to huge lengths to build quantum computers, cooling devices to a few micro kelvins above absolute zero. Even then challenges remain, while IBM has a 50-qubit prototype machine and Google a 72-qubit chip, each has their own roadblocks that prevent them from being truly useful devices at this moment. Here is the expert view on what quantum computers will and won't be able to do, and the challenges we still face. Ellen Lord, the Pentagon's chief weapons buyer, told a small group of reporters here Friday morning that her office is trying to put rules in place to protect against buying “software that has Russian or Chinese provenance, for instance, and quite often that's difficult to tell at first glance because of holding companies," that move the software through the open market. THE PENTAGON: The Defense Department is working on a “do not buy” list of software vendors who may have been compromised by foreign governments, but is still in the early stages of formulating a plan to ensure the defense industry follows suit. Can NATO’s Deterrence Work With New Definition Of War? NATO’s Brussels summit was hardly short of controversy with Trump, unsurprisingly, at the centre of this; whether that be in his questionable commitment to the alliance, his questionable understanding of it, or shortly following this, his questionable off-the-records meeting with Putin. Amongst this furore came a potentially game-changing decision from the top brass. The Alliance has, for all intents and purposes, expanded the reach of Article 5 which means all members must defend any other member that is attacked. Indeed, NATO has expanded its definition of transgression to include hybrid war. If Russia or another potential aggressor is to wage hybrid war against a member state, NATO would respond as if it was a conventional invasion.